It’s difficult now, especially for folks who weren’t around to witness her become a ubiquitous, transcendent part of the pop culture fabric of the ’90s. In recent years, Goldberg has become better known as the designated adult on “The View.” She kept the peace when Elizabeth Hasselbeck and Joy Behar were at each other’s throats. She injected common sense and good old-fashioned side-eye when necessary. She has been the constant as the show churns through one ridiculous or ill-fated co-host after another. But in the last six years, Goldberg has ceded ground when it comes to her ability to rise above the show’s reputation for chaos and uninformed opinions. 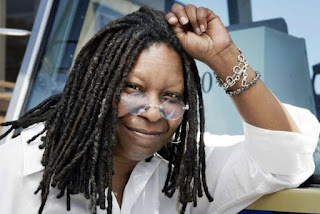 It would appear that Goldberg has torched her reputation to the point that when she says something that could be construed as controversial, it simply gets rounded up to Yet Another Crazy Thing that sprung from the mouth of Whoopi Goldberg. Indeed, that characterized the resulting media fracas surrounding the Davis statement. Layered in nearlyevery report of Goldberg’s answer was a scolding, head-shaking how could you? Of course, said torching did not occur in a vacuum. There’s a backlog of mind-bending Goldberg-isms. Still, it’s difficult reading Goldberg’s answer to understand precisely what she meant when she was talking about Davis. It’s a mess of a soundbite that leaves you furrowing your brow, aching for a follow-up question. It’s the assertion that there have been “plenty of opportunities” that made Goldberg sound particularly Thatcherian. It’s true; there have been loads of opportunities for Goldberg as an individual — she enjoys a position in American culture that very few can match — but that doesn’t say much for black actresses as a group. So, she knew. What happened? Miraculously, by today’s standards, the whole thing mostly blew over. There was closed-circuit footage of Danson’s act that night, but it never leaked, giving us few clues as to whether Danson’s routine veered more toward “Tropic Thunder” than Al Jolson. Danson’s career continued without issue and Goldberg’s continued its ascendance. The next year, she became the first black woman to host the Academy Awards, a gig she took three more times in 1996, 1999 and 2002. Goldberg wasn’t just a funny woman; she was a funny person who traversed with ease between characters and genders, like she did in her 1985 one-woman show, “Direct From Broadway.” When she was still performing it early in her career at the Dance Theater Workshop in Chelsea, it was called the “The Spook Show.” She had an extraordinary capacity for soliciting empathy while also making you laugh. Before Goldberg joined “The View” to replace Rosie O’Donnell as moderator, she enjoyed a decade as one of the funniest, most popular figures in American entertainment. She was everywhere and she played a range. She was sister Mary Clarence in “Sister Act.” Her movie “Corrina, Corrina” was delivered on DVD with boxes of Papa John’s pizza. She was the center square in the reboot of “Hollywood Squares.” She was the Cheshire Cat in a TV movie adaptation of “Alice in Wonderland” that also starred Ben Kingsley, Martin Short and Gene Wilder. She played Queen Constantina in a race-blind TV movie adaptation of “Cinderella” in which Victor Garber played her husband, Paolo Montalban played their son, and the singer Brandy was Cinderella. She had a short-lived eponymous NBC show. Slim Fast enlisted Goldberg to help them sell diet shakes. She was a superfan-turned-basketball coach of the New York Knicks and a businesswoman who got ahead pretending to be a businessman. Even in “Rat Race,” the 2001 ensemble comedy starring Rowan Atkinson, Kathy Najimy, John Cleese and Jon Lovitz, Goldberg was a scene-stealer. At a time when the prevailing standard of beauty for black women in Hollywood was a light complexion and long, straight hair, Goldberg spent her heyday as an outlier. Black women with natural hair, much less dreadlocks, simply weren’t as ubiquitous and celebrated in the way that they are today. In quite a few of her roles, Goldberg was sort of suspended in sexlessness, but she carried movies anyway on sheer talent. It was inspiring and at the same time refreshing to see her be chosen, be celebrated and be wanted in a film like “Corrina, Corinna.” It was important. Arguably, decades before ShondaLand existed, Goldberg was waging this war on the big screen — and winning. In “Made in America,” she played a single mother who had a daughter via sperm donor who turned out to be the unlikeliest of uncouth white guys, played by Ted Danson. Danson’s character ends up falling for Goldberg’s. The movie, which cost $22 million, grossed nearly $105 million. But the credit that we ascribe to Rhimes and to Davis largely escaped Goldberg. There was no Twitter and there were no blogs to parse the large-scale meaning of Goldberg’s dominance in the entertainment industry. It came and it went. There’s a familiar rhythm to Goldberg controversies. The central conflict involves the fact that whatever she’s saying tends to paint her as a traitor, either to her race, her gender or both. It’s often confounding, in part because of Goldberg’s positioning on “The View” as The Reasonable One, but also because there’s a good bit of material, either that she’s performed or written, that suggests that Goldberg should know better. At 59, Goldberg is not of the TMZ generation, but she’s been swept into it anyway. It’s disquieting to see Hollywood aunties like her being subjected to questioning better associated with the likes of Chris Brown or Ariana Grande, but here we are. Goldberg finds herself in a celebrity culture for which she wasn’t made and couldn’t have predicted, and she and her contemporaries have struggled to keep up as the chains of progress have moved down the field (see also: Jerry Seinfeld, Matt Damon and Chrissie Hynde, among others). 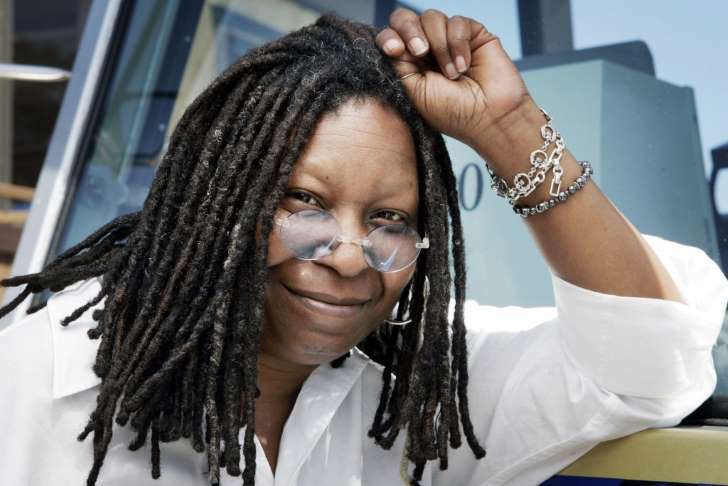 “The View” was supposed to provide one of America’s favorite comedians with a dignified second act. Will it end up undoing the legacy she built in the first one?